Herbal use has certainly been on the rise in recent years, more so with the upswing with those trying to improve their health through nutrition and exercise. It is multi-generational, in that the various age groups are at least curious if not actively utilizing the amazing benefits that herbs provide. During the creation of our earth, herbs have been part of the edible, natural landscape. The health benefits were used greatly in years past, then they lost their appeal when prepared foods and medications became available and took their place. With the enlarging grocery stores with a vast availability of packaged foods for our convenience, and an abundance of pharmaceuticals, we have lost track of the many benefits that nature has to offer in nutritional wellbeing. Mass production, preservatives and fillers, all in which to provide either flavor and/or ease, we have become a society of consumers who gravitate to the chemical addiction of of what looks, tastes and seems the most satisfying with comfort. We have even become easily swayed by the ease of supplementing our diets with multiple vitamins and minerals in pill form, vs. from the healthy nutrition provided naturally through our foods. Yet, if our packaged foods are so healthy for us, then why need supplements? Health conscious consumers are awakening to the reality that food, inclusive of herbs, are still essential for our natural well-being. The mindset of reducing our dependency on pharmaceuticals is about awareness. If we put aside the overly processed foods, and started to consume vegetables in their natural state, it would reduce the need for supplements that have become more of a mindset of nutritional balance, as well as reduce our needs for pharmaceuticals. Herbs play a huge part of meeting not only our nutritional needs as in spices and seasonings for our food, but they also provide many medicinal uses that many are unaware of. One that is currently popular is turmeric, combined with black pepper, can provide pain relief. Herbalists and apothecaries have been expanding their knowledge through education and use, utilizing century old knowledge of what God has provided through nature. As consumers, we can easily have access to many of these resources by nurturing ones own herbal garden. In addition, for those unable to personally grow their own herbs, there are many options to obtain them, through naturopathic providers, health food stores, and many on-line resources. Even our local grocery stores have fresh herbs in our produce aisles. Although rare, some allopathic physicians are also providing some suggestions in using herbs to improve our health, yet if they do not suggest them, many will support your use of this natural option as a first option through discussion. 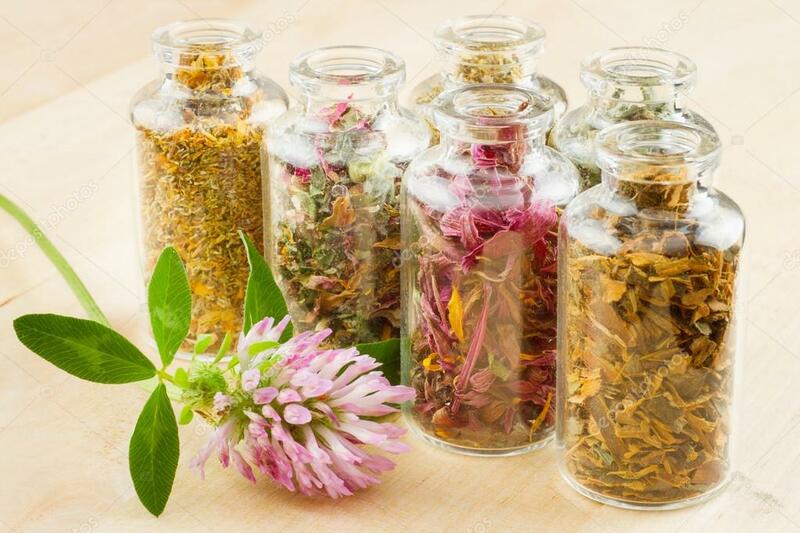 Please note: Allopathic physicians, even if knowledgable in herbs, are not specialists in herbal medicine, and will often remind you of that when you discuss herbal options as an alternate to pharmaceuticals. And just because you desire herbal remedies, it does not negate the fact that physicians and specialists are quite valuable in our overall health. We need them as much as we need to be responsible in our choices, so being respectful of their position, allows them to work more effectively with you. ALSO note: Always be aware of what herbs can interfere with necessary medications, or which ones to stop prior to any surgical procedure. Herbs are very powerful plants that provide amazing medicinal benefits, but like pharmaceuticals, can have negative side effects. Although they are quite beneficial, herbs can also be quite harmful. It is a known fact that eating a healthy diet of fruits, vegetables, seeds, nuts, and various protein sources, that we will consume a healthy range of necessary vitamins, minerals, and cancer-fighting properties. Yet, many are unaware of the many nutrients that are available in the herbs that can so easily be added to their foods, made into teas, tinctures, etc. Our local supermarkets today do carry a large variety of spices and herbs, with many that are fresh and can be found in their produce aisle. Sometimes one can find a few varieties as starter plants. It is much easier to have a larger variety of herbs at your disposal when you decide to grow your own. A nice benefit to herbal gardening, is that many are also flowers that benefit our visual senses. There is a psychological benefit in nurturing the growth of our own food and medicine. Digestion: Herbs that are helpful for digestion which can easily be acquired at most supermarkets are thyme, rosemary, oregano, and mint. When they are heating, their aroma is released, causing our salivary glands to work in preparation for our stomach to digest our food. This process actually helps the body break down the fats and starches in our healthy foods. Anti-Cancer: Due to the availability of flavonoids within fruits and vegetables, which also reduce the risk for heart attacks and stroke, herbs can supplement this particular activity. Onions, rosemary, sage, thyme, chamomile, dandelion, ginkgo, green tea, and milk thistle are some of the herbs that provide flavonoids, all of which help the vitamin C in our diets, to work more efficiently as an antioxidant, cleaning up the free radicals that can cause cancer. Be aware that some herbs could cause an allergic response. For myself, sometimes an herb can cause an external response, yet not internally if heated at a certain temperature and/or length of time. If I find that I am getting a skin irritation and it is bothersome, I will take that fresh herb to my allergist and have her do a skin test on me, to see if it is mild or severe. If it is severe, I stay clear of it. Personally, I have found that if I wear long sleeves and gloves when pruning my garden, I have less of a reaction to the herbs that only provide a mild skin irritation. Tumor Prevention: Herbs contain phytochemicals (phyto = plant, naturally occurring vs. chemically prepared). These are also called terpenoids, which are potent antioxidants that protect our system, which help to inhibit the growth of tumors. Herbs that carry these naturally occurring chemicals are caraway, spearmint, dill, coriander, lavender, rosemary, sage, thyme, lemongrass, chamomile, basil, rosemary, mint, cardamom, celery seed, fennel and peppermint. Inflammation: Inflammation is a protective response to injury, damage and illness, which helps our bodies to naturally heal and repair. Factors that can lead to inflammation are a result of stressors such as food and chemical sensitivities, pollution, extra physical weight and disease. Inflammation can lead to common diseases such as diabetes, cancer, heart disease, and various other diseases. Herbs that help fight inflammation include: turmeric, green tea, white willow bark (natural form of aspirin), maritime pine bark, chili peppers (capsaicin), Frankincense (Boswella), black pepper, resveratrol, Cat’s claw, rosemary, cloves, ginger and cinnamon. As a patient who understands the effects of inflammation, with Lyme disease, I use many of these herbs, rotating their use, to help with the pain caused by the inflammation. Natural Antiseptics: Antiseptic herbs kill or inhibit the growth of microorganisms on the external surfaces of the body. Please note that the same antiseptic purposes are not the same as antibiotics that destroy the microorganisms from within, yet many herbs do provide both benefits, dependent upon how they are applied. When applied to wounds and infection, they help to prevent infection. Some of the herbs to consider are: thyme, aloe vera, burdock, clove, goldenseal, spikenard, sage, and garlic. They can be applied as a paste or as an oil made using a natural carrier oil. Immune system: Herbs that stimulate the immune system, promote the activity of lymphocytes, which are the type of cells circulating in the body. These invaders (herbs) help to eliminate viruses in our body. Herbs to consider in using are: garlic, onions, Echinacea, rosemary, sage, thyme, chamomile, dandelion, ginkgo, green tea and milk thistle. Heart Health: Substances referred to as catechins, are herbs that help to lower the bad cholesterol, helping to prevent heart attacks and strokes. Herbs to consider: onions, garlic, and green tea. Rosehip tea may also help to reduce the formation of harmful cholesterol. Health and Healing: Various health inconveniences can cause one to drive to the nearest pharmacy for the newest product for relief, when often; we can easily incorporate them into our daily lives. An Aloe Vera plant on your windowsill can quickly help with a burn, by preventing blisters. For indigestion, you might already have peppermint or dill in your cabinet of spices. Elderberry tea or syrup from berries (whether fresh or dried), will help with colds. Rosemary is a wonderful herb for seasoning food, but it is also great smelling that will also enhances your air quality. And as a plant, Rosemary can also improve ones quality of sleep and concentration. Taking care of oneself while using herbs: When taking herbs, it is equally important to keep your health care providers/specialists in the loop. They need to know what herbs you consume medicinally in order to properly treat you. Herbs can interact with pharmaceutical medications, resulting in health issues or side effects your provider is trying to prevent with their treatment. In addition, some herbs, when used in excess, can be harmful to ones health. When using herbs, I tend to take 2-5 day breaks from time to time, often rotating with others to provide the same benefit. If pregnant, trying to conceive, or nursing, some herbs should not be consumed. Please consult your physician. Also, please do not give your herbal medicines to your children without the guidance of his/her pediatrician. Their little bodies are developing, so if possible, give them the best option of immune support by nursing them. Later, after introducing them to foods, and in working with your pediatrician, you can begin to utilize some herbs when necessary. In summary: Although the list of herbal suggestions in each category is limited, they are examples of herbs that are more widely known by most people. In addition, there are various other health concerns where various herbs can provide relief. This is why it is important to obtain solid information, preferably a specialist, before consuming. Also, health food stores are great resources for herbal options, but not all health food stores have knowledgeable staff members. Remember, you and your physician are the experts in your health and special needs. A retailer, who wants to help, could potentially recommend something that would actually cause more harm than good. Be healthy while you enjoy this precious gift called life!! Herbs have been around since life began. It is part of our natural landscape of nutritional food. Yet over the years the scope of their health benefits seemed to have been lost as prepared foods and medications, whether over-the-counter or via prescription, took their place. There is a wave of awakening in utilizing herbs as medicine. People who desire to enjoy a healthy lifestyle, a change and/or having no benefit from the pharmaceutical industry for illnesses that seem to have no resolution, are seeking natural means for a healthier life. Not only can they be used as spices and seasonings in our food, they often times provide a huge benefit to our overall health. Plants and herbs have been used for centuries, and today herbalists and apothecaries are using them for themselves as well as others who seek this knowledge. One can easily have access to these herbs and herbal resources by nurturing small home herbal gardens, through naturopathic providers, health food stores, and many options online. Although rare, some allopathic physicians are also providing some suggestions to better improve your health, such as many are supporting the use of turmeric for pain. It is a known fact that eating a healthy diet of fruits, vegetables, seeds, nuts, and various protein sources, that we consume a healthy range of necessary vitamins, minerals, and cancer-fighting properties. Yet, many are unaware of the many nutrients that can be gained in the use of herbs, which easily can be added to their foods, made into teas, tinctures, etc. Our local supermarkets today, do carry a large variety of spices and herbs, and some of which are fresh and in the produce aisle, and sometimes one can find a few varieties as starter plants. One can have a larger variety of herbs at their disposal when they decide to grow their own, and often times as flowers. Digestion: Herbs that are helpful for digestion can easily be acquired at most supermarkets are thyme, rosemary, oregano, and mint. When they are heating, their aroma is released, causing our salivary glands to work in preparation for our stomach to digest our food. This process actually helps the body break down the fats and starches in our healthy foods. Anti-Cancer: Due to the availability of flavonoids within fruits and vegetables, which also reduce the risk for heart attacks and stroke, herbs can supplement this activity. Onions, rosemary, sage, thyme, chamomile, dandelion, ginkgo, green tea, and milk thistle are some of the herbs that provide flavonoids, all of which help the vitamin C in our diets, to work more efficiently as an antioxidant, cleaning up the free radicals that can cause cancer. Inflammation: Inflammation is a protective response to injury, damage and illness, which helps to naturally heal and repair. Factors that can lead to inflammation are a result of stressors such as food and chemical sensitivities, pollution, extra physical weight and disease. Inflammation can lead to common diseases such as diabetes, cancer, heart disease, and various others. Herbs that help fight inflammation include: turmeric, green tea, white willow bark (natural form of aspirin), maritime pine bark, chili peppers (capsaicin), Frankincense (Boswella), black pepper, resveratrol, Cat’s claw, rosemary, cloves, ginger and cinnamon. Health and Healing: Various health inconveniences can cause one to drive to the nearest pharmacy for the newest product for relief, when often; we can easily incorporate healthier options into our daily lives. An Aloe Vera plant on your windowsill can quickly help with a burn, by preventing blisters. For indigestion, you might already have peppermint or dill in your cabinet of spices. Elderberry tea or syrup from berries (whether fresh or dried) help with colds. Rosemary is a wonderful herb for seasoning food, but it is also great smelling plant and enhances your air quality while helping one sleep, and can improve ones concentration (great to have at your desk area). Taking care of oneself while using herbs: When taking herbs, it is equally important to keep your health care providers/specialists in the loop. Herbs can interact with Pharmaceutical medications, resulting in health effects your provider is trying to prevent with their treatment. In addition, some herbs, when used to excess, can be harmful to ones health. Allopathic physicians are not specialists in herbal medicine, and they will often remind you of that when you discuss herbal options as an alternate to pharmaceuticals. And just because you desire herbal remedies, it does not negate the fact that physicians and specialists are quite valuable in our overall health. We need them as much as we need to be responsible for choosing to live a healthy life style. Some herbs could cause an allergic response. For myself, sometimes an herb can cause an external response such as a rash with itching, yet when baked/cooked at the right temperature and amount of time, I can consume them. When working with a new herb and I find that I am getting a skin irritation and it is bothersome, I will take that fresh herb to my allergist and have her do a skin test on me, to determine if it is mild or severe. If it is severe, I stay clear of it. Always be aware of what herbs can interfere with necessary medications, or which ones to stop prior to any surgical procedure. Herbs are very powerful plants. And although they are quite beneficial, they can also be quite harmful. Remember, herbs were our first form of medicine, and many pharmaceutical’s were developed by studying these herbs, in order to replicate them in a lab. Some herbs should not be used if you are pregnant, trying to conceive or if you suffer from certain medical complaints. Excessive use of some herbs can be harmful to one’s health. If unsure, consult a professional medical herbalist for more information. In summary: Although the list of herbal suggestions in each category is limited, they are examples of herbs that are more widely know by most people. In addition, there are herbs that help in various other health concerns. This is why it is important to obtain solid information, preferably a specialist, before consuming. 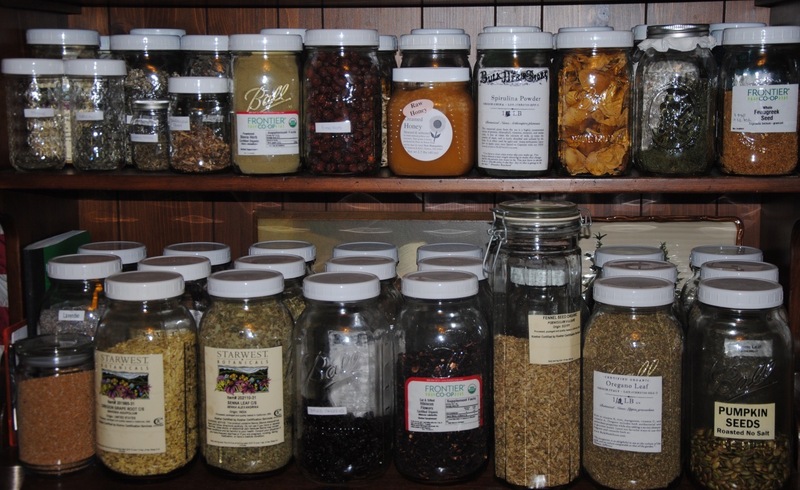 Also, health food stores are great resources for herbal options, not all health food stores have knowledgeable staff members and none of them know your unique health needs. Remember, you and your physician are the experts in your health and special needs. A retailer, who wants to help, could potentially recommend something that would actually cause harm rather than provide benefits. Another sleepless night arrives, maybe acquiring 1-2 hrs, to only be woken by pain, the need to empty one’s bladder, or simply your body deciding for you that you have acquired enough rest for the evening. On some occasions the alertness arrives due to the sudden awakening as the result of a vivid dream that makes absolutely no sense at all!! Ah, the joys of Chronic Persistent Lyme disease. I don’t envy anyone who has it. But more than that, despite my efforts to find the joy in life between the varying obstacles of this disease, I really wish that this side effect of the disease and treatment would resolve itself. Tonight, I am finding that the bugs of Lyme are affecting many of my Lyme friends who are dealing with the same demon wreaking havoc on our ability to heal (a.k.a. 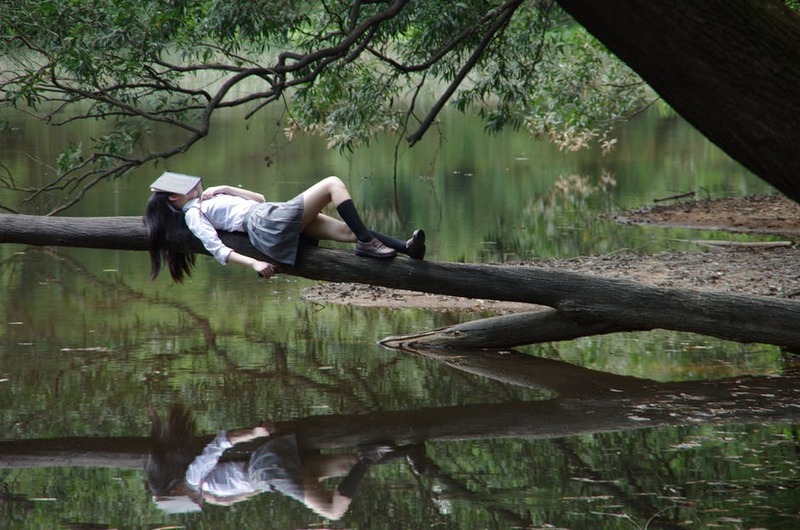 sleep). You see, we NEED sleep. We WANT sleep!! So what do we do? We try everything, and personally, since I am already on prescription antibiotics, the last thing I want to throw into the mix is more medication to sleep. So that is not an option for me. With guidance from our LLMD (Lyme Literate Medical Doctor), or other informed medical provider we have come to trust, we seek their advice, and sometimes finding other potential helps. Most frequently we find ourselves in the health food store and reading reliable resources about supplements, herbals, tinctures and other potential methods to find rest. One method that does occasionally help me is to take a hot detox bath (Epsom salts, sometimes add in some baking soda, along with an essential oil such as Ylang, Ylang and Lavender), a massage from my husband, and a hot cup of chamomile tea. When this stopped working, I started to add in supplements as discussed with my LLMD along with some herbals I tried on my own after researching and making sure they had no interactions with my medications or other supplements I take. I have come to the conclusion that I might simply need to mix things up a bit and try to mess with the bugs the way they mess with me. I will still stay on course as prescribed by my LLMD, but my next approach is to change the supplement, herb or tincture when after a few nights I end up with no sleep again. Will it work? I haven’t a clue but when one is unable to obtain more than a few hours rest for a few nights, you seek other potential options. Well, the sun is rising, looking as though we will be an overcast day. Today I have a list of things I desire to accomplish in addition to a physiatrist appointment and some sewing work. By mid-afternoon, my yawning exercise will begin, helping to keep my jaw and facial features looking young. But for now I will head off for a shower to wake up this body of exhaustion in order to obtain that genuine joy for living smile. Hoping for a more restful night, not only for me, but also for all those with Lyme who suffer while trying to heal.